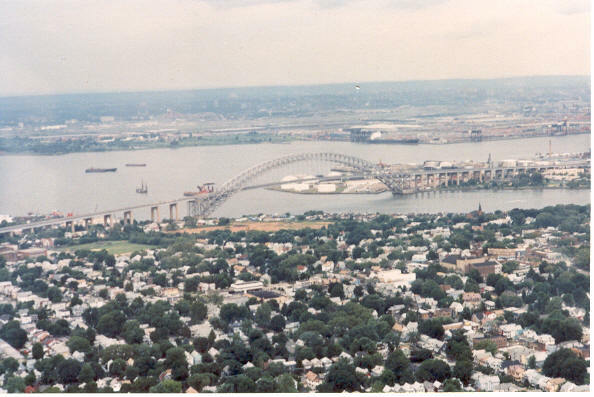 Over northern Staten Island, we see the Bayonne Bridge which links Staten Island and Bayonne, NJ. The bridge is a sister to the Harbor Bridge in Sydney, Austrailia. Beyond the bridge is Newark Bay and Port Newark.